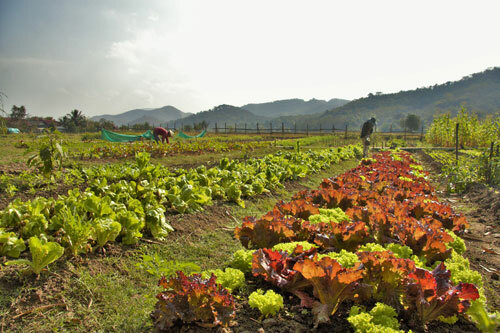 We grow organic vegetables, salads and herbs on our Farm and supply the top hotels and restaurants in Luang Prabang. Do come and have a look at our healthy products or even taste some in our Terrace Restaurant at lunch time. We employ various methods to grow our plants in a healthy and sustainable way, by composting, feeding with bio-energy from plants and fruits, rotating crops and leaving beds fallow. 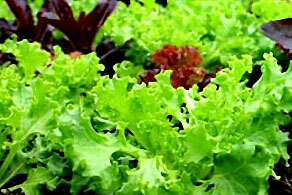 We interplant with tobacco, marigold and herbs to discourage insects and allow the vegetables to grow naturally. We employ workers who may have learning difficulties or physical shortcomings who are unable to find work. 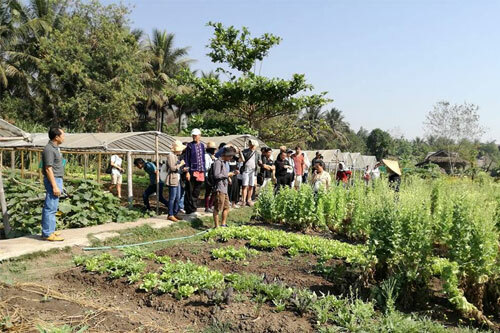 The Northern College of Agriculture uses our farm as a practical work station for their 3rd year students who come and spend some time with us to learn the practical aspects of organic farming. We also welcome volunteers who are keen to learn more about our methods. If you would like to buy some of our produce, just give us a call or drop in and talk to our Manager who will help you.